Should New York City Opera Board Be Held Accountable? “She was the face of the company—and she knew it,” says Joseph S. Gasperec, who was a stage manager before becoming the company’s assistant technical director. The donors who coughed up for New York City Opera were giving money to her, someone whom they trusted and respected. None of her successors had either the same strengths at fundraising or opera company management. Various strategies were adopted—an alliance with Glimmerglass Opera Festival in Cooperstown, New York; negotiations to move into various other theaters, including the possibility of building a entirely new home on Ground Zero. The company had already been operating as a “50/50” company, deriving its revenue equally from ticket sales and fundraising, when the terrorist attacks of Sept 11, 2001, came. Performing arts institutions all over the city saw a dip in attendance after 9/11. City Opera’s turned out to be permanent. But there was that endowment. By 2003, City Opera was sitting on an endowment of $57 million—a record high. The fund seemed like insurance against hard times ahead. But it didn’t last long. As the New York Times noted, by 2009 City Opera had raided its endowment, reducing it to $16 million, to pay off debts and cover operating expenses. The practice is known as “endowment invasion.” The chairperson who presided over this was Susan Baker, who though having since stepped down, still remains on the board. During her tenure, there was also the saga of the disastrous appointment of Gerard Mortier as CEO. A former artistic director of La Monnaie in Brussels, the Salzburg Festival, and the Paris Opera, in each of his previous roles Mr. Mortier had been well insulated from the pressures of box-office and fundraising by the very generous government subsidies that were the norm in Europe at the time. Mortier resigned in November 2008 at the height of the Wall Street crash. The present CEO, George Steel, too, was untried in the complex and demanding role of managing a large arts company. He had been a success at Columbia University’s small music theater space, the Miller Theater. From there, he had been briefly, and some say unsuccessfully, at the Dallas Opera. His City Opera programming failed to draw audiences. Ticket sales for the 2010–11 season hovered near a dismal 40 percent of capacity. 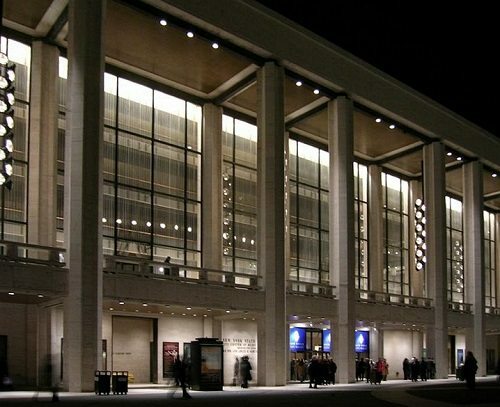 In 2012, the company announced that it would finally be leaving Lincoln Center, the company’s home for more than forty years. Then, in early September this year, it was announced that it would be forced to cancel most of its current season and all of its next season if it failed to raise $20 million by year’s end; the first $7 million by end of September. On October 3rd, the company filed for bankruptcy.